My mother passed away about 1 year ago and left a room full of dolls. We have identified most except for one, a bride doll that is very odd looking. But my sister loves her and we would like to know something about her. But we can't find anything online that even looks like her. Any help will be greatly appreciated. 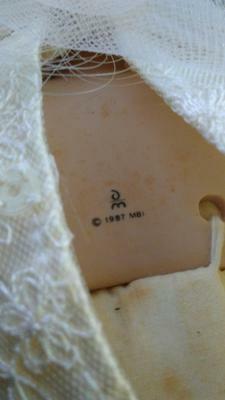 I've attached photos of the doll and the doll marking on her.